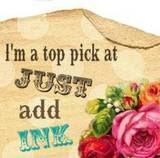 A new month means a new scrapbook challenge at Just Add Ink. 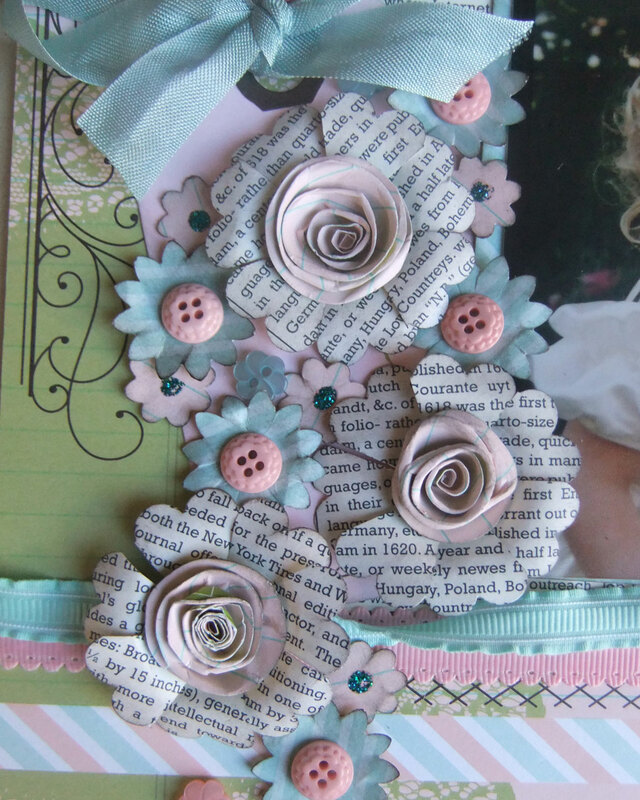 This month the challenge is to add buttons and bows to your layout. I created a very girly page (not my usual style with four boys I must say) to scrap a favourite picture of my niece and myself. I started with the Tea Time Simply Scrappin' Kit and added in a few extra elements. My favourite part of the layout is definately the grouping of flowers. I made rolled rose style flowers from a circle punched out of patterned paper and then added those to the centre of a scallop circle flower. I filled out the group with Boho Blossoms flowers in two sizes and some sweet little flower buttons from the Twitterpatted button pack. I added some bling to the small flowers with Crystal Effects and glitter. Looking at that photo above I might go back and stitch those buttons on if I can find a small enough needle - those button holes are teeny. The sticker sheets in the Simply Scrappin Kit are great for layering and adding extra elements to the layout plus you know they co-ordinate. Everything was inked with Early Espresso Ink and I also stamped an extra flourish in the top right corner with my favourite swirly flourish Baroque Motifs (which is sadly retiring). Beautiful beautiful scrapbook page. Just found this challenge...Il need to bring my bows and buttons out too! Your page inspires me..I have gily girls! Blessings! wowsers Lisa! This is one gorgeous LO! Love your photo and your flowers, buttons and bows! Wow! Gorgeous photo, and a gorgeous layout to have it on. Your flowers are very pretty, and the way you've clustered them is so beautiful.